Catholicos of the East and the Malankara Metropolitan present Baselios Mar Thoma Paulose II. 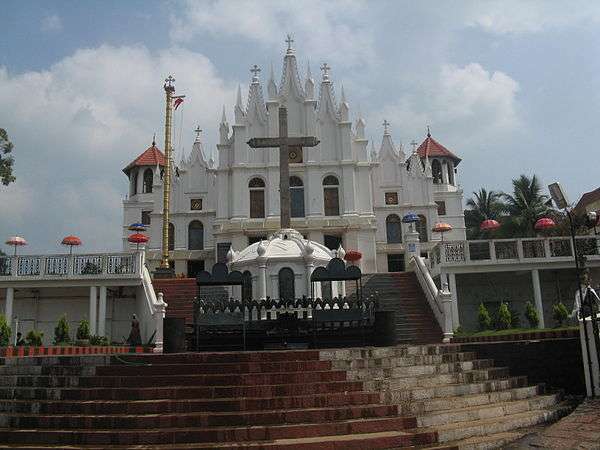 The Malankara Orthodox Syrian Church also known as Indian Orthodox Church is an autocephalous Oriental Orthodox church centered in the Indian state of Kerala. It is one of the churches of India's Saint Thomas Christian community, which has its origin in the evangelical activity of Thomas the Apostle in the 1st century. The church is headed by the autocephalous Catholicos of the East and the Malankara Metropolitan, presently Baselios Mar Thoma Paulose II. The constitution of the Malankara Orthodox Church defines it as a division of the Syriac Orthodox Church, and it follows the West Syrian liturgy. The Church accepts the Syrian Patriarch of Antioch as its supreme spiritual head. It is believed that Saint Thomas Christians of Malabar were in communion with the Church of the East from 496 to 1599. Thereafter, the Christians of Saint Thomas were influenced by many beliefs at different times. These influences later resulted in serious rifts and the breakdown of the monolithic apostolic church into different fragments under different faith streams. They were organised as a Church in the 8th century, served by foreign bishops and led by a hereditary local chief called an Archdeacon. In the 16th century, the overtures of the Portuguese padroado to bring the Saint Thomas Christians into the Latin Rite Catholicism led to the first of several rifts in the community and the establishment of Catholic and Malankara Church factions. Since then further splits have occurred, and the Saint Thomas Christians are now divided into several fragments: Eastern Catholic, Church of the East, Oriental Orthodox, Protestant and Reformed Syrians, each with their own liturgies and traditions. Saint Thomas Christians were administratively under the single native dynastic leadership of an Archdeacon (അർക്കദിയൊക്കൊൻ) (a native ecclesiastical head with spiritual and temporal powers, deriving from Greek term arkhidiākonos) and were in communion with the Church of the East, centered in Persia, from at least 496. The indigenous Church of Malabar/Malankara followed the faith and traditions handed over by the Apostle St. Thomas. During 16th century, the Portuguese Jesuits began deliberate attempts to annex the native Christians to the Catholic Church, and in 1599 they succeeded through the Synod of Diamper. Resentment against these forceful measures led the majority of the community under the Archdeacon Thomas to swear an oath never to submit to the Portuguese, known as the Coonan Cross Oath, in 1653. The Malankara Church consolidated under Mar Thoma I welcomed Gregorios Abdal Jaleel, who regularized the canonical ordination of Mar Thoma as a Bishop. Meanwhile, the Dutch East India Company defeated the Portuguese in supremacy of the spice trade in Malabar in 1663. The Malankara church used this opportunity to escape from Catholic persecution with the Dutch East India Company's help. At the request of the Malankara Church, the Dutch brought Gregorios Abdal Jaleel of Jerusalem, a Syrian Orthodox Church Bishop, in their trading vessel in 1665. Mar Thoma I forged a relationship with the Syriac Orthodox Church and gradually adopted West Syrian liturgy and practices. The church is theologically and traditionally a part of the Syriac Orthodox church. The members of the Church are known as Malankara Nazranis or Malankara Orthodox Christians. While the spread of Christianity around the Mediterranean was led by apostles St. Peter and St. Paul, St. Thomas spread its message in the East. He preached in south India to a mixed community of Jewish diaspora, native Dravidian majority, small groups of Jains, Buddhists and migrant Vedic Indo-Aryans. This Nasrani faith had many similarities to ancient Judaism (see Jewish Christianity). Malankara Nazranies formulated a script (Kharshuni) to write Syriac-Malayalam after making certain changes in Syriac script. Despite many competing faiths, St. Thomas Christians held to their creed until the arrival of Portuguese missionaries in the 16th century. The Portuguese were eager to bring the Indian Church under the Pope's control through Latin ecclesiastical hierarchy, and succeeded in 1599 with the Synod of Diamper during the regime of Archdeacon George. After the royal order issued under the pressure of Goan bishop Menezes, the representatives of various parishes who attended the assembly were forced by Portuguese colonial forces to accept Papal authority. In 1601, Menezes consecrated Fr. Francis Roz as bishop of Angamaly, which marked the beginning of Roman Catholic hierarchy in Malankara. In 1652 Mar Ahatallah, a prelate from Syria, reached Mylapore near present day Chennai, and the news of his detention and torture by Portuguese colonial forces caused a great rebellion. In 1653, under the leadership of Mar Thoma I, Nazranis gathered at Mattancherry church in Kerala on 24 January 1653 (M.E. 828 Makaram 3), and swore an oath known as the Coonen Cross Oath. The following oath was read aloud and repeated by people touching a rope tied to the stone cross: "By the Father, Son and Holy Ghost that henceforth we would not adhere to the Franks, nor accept the faith of the Pope of Rome". Since a large number people were holding the rope, the cross bent a little, so it is known as the Coonen Kurisu Sathyam (oath of the bent cross). They wanted to combat the aggressive Catholics and regain spiritual and administrative autonomy for the Church. Hence 12 elderly priests laid hands on Mar Thoma I and elevated him as Metropolitan Thomas Archdeacon. They appealed to several eastern Christian churches to defend their faith from Latin intrusion. Mar Gregorios of Jerusalem regularized Mar Thoma I as the Metropolitan and worked together with him to re-organize the Church. The Malankara Church lost many early traditions under Portuguese padroado (patronage), with many rituals banned and holy books burned as heretical by the Portuguese Catholics. Due to widespread complaints against Jesuits in Malankara, Rome sent Carmelites in two groups from the Propagation of the Faith to Malabar headed by Fr. Sebastiani, Hyacinth and Gracia. They gradually gained support, especially with the help of Palliveettil Mar Chandy Kathanar, a cousin of Mar Thoma I. According to Jesuit reports they succeeded in wooing three of the four advisors of Mar Thoma I. Kerala's long waterways helped the Portuguese soldiers directly intervene in coastal churches, while geographically interior churches were spared due to lack of roads at that time. They asked Kochi, Vadakkumkoor, Thekkumkoor and Ambalapuzha kings to put dictates to their Syrian subjects to join the Catholic Church. By 1662, the Carmelites claimed 84 out of the 116 churches, leaving Archdeacon Mar Thoma I with thirty-two churches. The thirty-two churches and their congregations represented the nucleus from which the Malankara Syrian Church (Orthodox and Jacobites), Thozhiyur, Mar Thoma (Reformed Syrians) and Syro Malankara Catholics have originated. From the 84 claimed churches, Syro Malabar and Chaldean Syrian Church were formed. The indigenous groups led by Mar Thoma I welcomed Mar Gregorios Abdal Jaleel, a Bishop under the Syriac Orthodox Patriarch of Antioch. Those who struggled to defend the Malankara Church from European rule had no other option but to accept the patronage of the West Syrian hierarchy, having slight difference from east Syrian tradition. Henceforth, the native Church began to be called "Jacobites" (earlier called "Nestorians"). Both terms were misconception of Westerners as most of the old Kerala churches were consecrated in the name of St. Mary, which does not conform to Nestorianism. The Malankara Metropolitans I to IX of the Pakalomattom family, who continued from the lineage of Mar Thoma I, led the Church for 150 years (from 1653). The Dutch period put an end to the direct interference of the Portuguese, but Latinism had grafted onto Syrianism in south India and survived with Roman support. In 1795, the British appeared on the scene and the Principal of Fort College, Rev. Claudius Buchanan, visited the Church in 1806. His meeting with Marthoma VI and Fr. Joseph Pulikkottil (his ascendancy to the Metropolitan ate caused the end of Pakalomattom dynasty) changed the destiny of the Church in the 19th century. The military expeditions of Tippu Sultan during 1789–1792 destroyed the administrative and priest training centre that existed at Ankamaly from early centuries, so the Church was in search for a new centre in the state of Travancore. The Church was not in a position to purchase a prime plot and to construct necessary buildings. The British residents were ready to help and in a position to influence the Travancore rulers. Under persuasion of the British in 1813, the Queen of Travancore allotted a 16 acre plot of land and Rs. 27,000 to construct a Seminary at Kottayam (most of the temples at that time were constructed using royal grants). The Anglican faculty who joined the Seminary in 1816 used the opportunity to sow the seeds of Anglicanism among Syrian Christians, and the relation reached a breaking point in 1836. Under the Cochin settlement, Syrian Christians were allowed to retain the land and building but had to compensate the Anglicans with a cash payment of the amount received for the Seminary from the Travancore Government. Many times, the demise of Metropolitans without anointing a successor left the Church in uncertainty. In these critical times the Church even sought the Apostolic hand from the estranged Thozhiyoor Church. Cheppad Mar Dionysus and his two predecessors were anointed by the Thozhiyoor Church. Meanwhile, reformists secretly sent deacon Mathew to the Syrian Patriarch to have him consecrated as Mar Athanasius. The Patriarch did not consult the reigning Metropolitan Cheppad Mar Dionysius, and the callous act not only defeated the efforts of Cheppad Mar Dionysius to contain the reformists by Mavelikkara Synod, but also put the whole Church under Reformists. 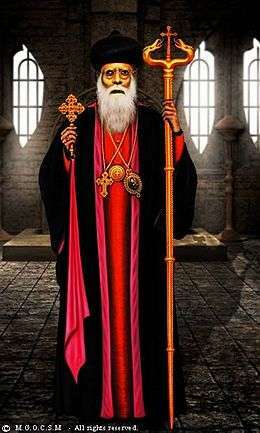 Mar Athansius reached Malankara and claimed the crown seat of Malankara Metropolitan, arguing that only the consecration from the Patriarch was valid and the consecration of Cheppad Mar Dionysius from Thozhiyoor was invalid. 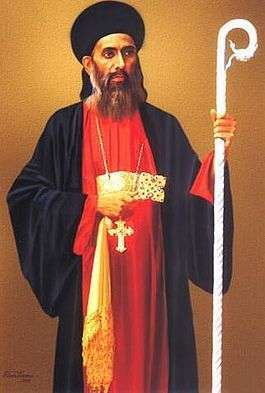 Exploiting the dispute, the Patriarch sent an Antiochean prelate, Yuyakim Mar Kurilos, who came and took over the position of Malankara Metropolitan and deposed Cheppad Mar Dionysius. At this point arguments began between Syrian national Mar Kurilos and Mar Athanasius. A government-appointed committee attempted to settle the dispute in a decision known as 'Quilon award' (1848), which advised the government to pronounce Mar Athansius as Malankara Metran, as they were doubtful about the authenticity of the Patriarchal letter presented by Mar Kurilos, and they observed that there was no tradition of a foreigner in the seat of Malankara Metran. In order to win back the Church from the reformists, the Church was compelled to bring Mor Pathrose, the Patriarch from Antioch, in 1875. The Patriarch cancelled the 'Stathicon' given to Mar Athanasius and subsequently the government unrecognized him in 1876, but he and his successor continued to stay at the Pazhaya Seminary. In 1889, Metropolitan Mar Pulikkottil II evicted them from the Pazhaya Seminary (Church Headquarters) and parish churches after a long civil litigation. Many of the affidavits submitted to the court, and deliberations of Mulunthuruthy Synod convened by the Patriarch in 1876, were harmful to the goal of independence, but it was unavoidable to free the Church from Protestant influence. 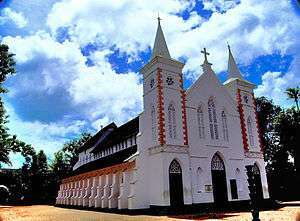 Thus the help sought from British Raj to influence the Travancore government for a financial grant to set up a Seminary for priest training in the year 1813, resulted in the formation of CMS Church in 1846 and subjugation to Antiochean Church in 1876 and formation Marthoma Church in 1889. Antioch was also keen to introduce their liturgy and customs in the Malankara Church and give their names and dress code to dignitaries. Marthoma V was advised to get re-consecrated under the name Dionysius by Antioch, but he was not ready to heed the demand. At the time of Marthoma VI, however, the visiting dignitaries re-consecrated him and changed his name to Mar Dionysius, and gave him West Syrian vestments which marked the beginning of Greek names and Antiochean dress code for Episcopas in Malankara. The church had no written constitution until 1934, but was governed by consensus, traditions and precedence. It was the vision of Mor Dionysius, Vattasseril, to have a clearly defined uniform constitution to govern the church administration. He initiated action and appointed a sub-committee with O.M. Cherian as convener to submit a draft constitution. The committee members had discussed the fundamental issues with the Metropolitan in several rounds, but it was not finalized and passed (materialized) in Cherian's lifetime. After his demise, the constitution was presented in the Malankara Christian Association meeting of 26 December 1934, held at M. D. Seminary. It was adopted and brought to force. The constitution has been amended three times to meet specific situations and needs. The validity of the constitution was challenged by the Patriarch party in the Court, but the Supreme Court's final verdict declared the validity of the Constitution. Every member of the Church is bound by the rules and regulations laid down in the Constitution. The Constitution upholds the autonomy and autocephaly of the Malankara Orthodox Church. It is Episcopal in its (polity) and not congregational. At the same time it upholds democratic principles by safeguarding the rights and privileges of the lay people. It was framed at a time when the Patriarch of Antioch was held in high esteem and hence his limited role is included. The constitution enshrines the fundamental features of the Church, provides direction for its internal administration, and preserves its integrity and autonomy. The essential features of the Church are provided in the preamble. The first article emphasizes the bond of relationship between the Church of Syria and Malankara. The second article deals with the foundation of the Malankara Church by St. Thomas and the primacy of the Catholics. The third article refers to the name of the church and the fourth about their faith traditions. The fifth is about the canons governing the administration of the Church. The whole constitution conceives the Malankara Church as self-sufficient in all her requirements, be it temporal, ecclesiastical, or spiritual in nature, and upholds that the Malankara Orthodox church is rightly autocephalous in character. In 1795, the British captured Malabar, Kerala. In 1806, Claudius Buchanan, an Anglican priest, visited the ancient Church of St. Thomas in India. 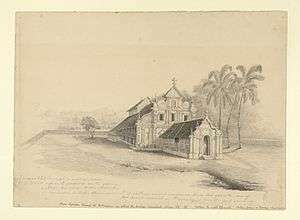 In March 1815, Malankara Church opened a Seminary at Kottayam, and in the next year Anglican missionaries arrived to join it. However, in 1835, the missionaries began to impose Protestant doctrines on the seminarians. As a result, the Malankara church discontinued their association with the Anglicans. A group of people of the Malankara Church opted to join with the missionaries and be absorbed into the Anglican Church; they became Church of South India (CSI) by the union of many churches. Some set out to bring about major reforms in the liturgy and practices of the Church, including independence from foreign control. After a final litigation outcome in 1889, not in their favour, they formed the Independent Syrian Church, which was later known as the Mar Thoma Church. A majority of the community continued in the Malankara Orthodox Church without accepting the reforms, remaining under Patriarch of Antioch. From 1817 to 1825 Mar Dionysius III (Mar Thoma XI) was Malankara Metropolitan. During 1825–1855, Cheppad Philipose Mar Dionysius led the Malankara Church. In between Patriarchal legate, Yuyakim Mar Koorilos, who claimed the position, lost his case in Royal court to Reformers' (Metran) group, Palakkunnath Mathews Mar Athanasius and he was succeeded by Thomas mar Athanasius. Then Mar Dionysius V regained the Church from reformers and retained the beliefs of Jacobite church under The Patriarch of Antioch. Geevarghese Mar Dionysius of Vattasseril, who ascended the throne of Malankara Metropolitan in 1908, played a significant role with the other clerical and lay leaders of Malankara in re-establishing the Catholicos of the East in India in 1912. The Malankara Orthodox Syrian Church wanted to retain its autocephalous nature. It appealed to the deposed Syriac Orthodox Patriarch of Antioch, Mor Ignatius Abdul Masih II. He ordained Murimattathil Paulose Mar Ivanios as Baselios Paulose I, as Catholicos of the East on the Apostolic throne of St. Thomas. The ceremony was held at St. Mary's Church, Niranam on 15 September 1912. The church in the 20th century remained the most favored and strong denomination to be fully eligible for St. Thomas heritage. 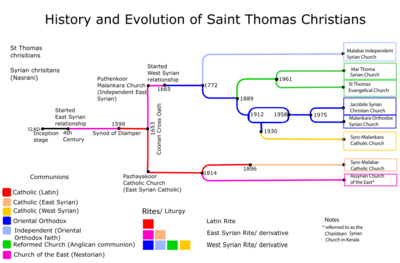 The lineage of St. Thomas is preserved based on two grounds. Firstly, the founder and first primate of the Church is St. Thomas, the Apostle of Jesus Christ; and secondly, the church has no dependence on nor is under any foreign churches outside India (in short, autonomous and autocephalous). 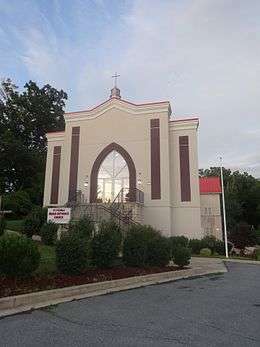 The history of immigrant community of the Malankara Orthodox Syrian Church of the East in the United States begins approximately in the mid-20th century. During this period a number of priests and laity came to the US for higher studies and training. Mathews Mar Coorilos Metropolitan (later Moran Mar Baselius Mar Thoma Mathews II) stayed at the General Theological Seminary in 1963 and returned to India in 1964. Mar Coorilos celebrated Holy Qurbana occasionally during his stay there. Fr. K.M. Simon looked after the Church service after Mar Coorilos left for India. This service was ecumenical in nature; Malayalees of any denomination participated. In 1965, the United States Congress passed a bill which cleared the way for thousands of professionally qualified individuals to immigrate to the US. Many Malankara Orthodox Christians came to the United States during this time. In 1968 Fr. G. John (John Geevarghese), an Ecumenical Fellow at Union Theological Seminary in New York City, started celebrating the Holy Qurbana every Sunday in the Seminary chapel, thus organizing the first congregation on America soil. After 1970, the Malankara Orthodox Church gradually spread to many major US cities with increasing numbers of clergy and laity. In 1976, the Holy Synod decided to establish more dioceses in various parts of the world. At this time, the numerous churches in America were placed under the authority of the Metropolitan of the Bombay Diocese, Thomas Mar Makarios. On 14 July 1979, Mar Makarios was given authority over the new American Diocese under the authority of the Catholicos of the East, Baselius Mar Thoma Mathews I. In 1991, Mathews Mar Barnabas took charge of the Diocese. In 2002, Zacharias Mar Nicholovos joined the Diocese. In 2009, the 'American Diocese' was split into the Northeast American Diocese and the Southwest American Diocese. As of 2013, the Northeast American Diocese had more than fifty parishes, more than forty priests, and fourteen deacons and seminarians. The spiritual regional head of the church is the Catholicos of the East and the temporal head over church assets is the Malankara Metropolitan. Since 1934, both the titles vest in one person. The official title of the head of the Church is the "Catholicos of the East and the Malankara Metropolitan". Baselios Mar Thoma Paulose II was enthroned as Catholicos of the East on 1 November 2010 at Parumala Church by the Holy Synod, the 91st Catholicos of the East in the lineage of Apostle Thomas, the eighth after reinstatement in India, and the twentieth Malankara Metropolitan. Oriental Orthodox Churches, including the Malankara Orthodox Syrian Church, accept only the first three Ecumenical Synods. The church primarily uses the liturgy of Saint James, as does its sister church, the Syrian Orthodox Church of Antioch. The Church in India was connected to the Church of East through the Catholicos of the East, existed in Edessa, Selucia, Tigris and Mosul at various times. Today the Church conducts liturgy in West Syriac, Malayalam, Hindi and English. The church has theological seminaries at Kottayam and Nagpur, and dioceses and churches in most parts of India, the United States, Canada, United Kingdom, Western Europe, Africa, Persian Gulf nations, Malaysia, Singapore, Australia and New Zealand. The name Malankara Orthodox Syrian Church refers to St. Thomas Christians of India that come under the Catholicate of the East whose supreme head is the Catholicos of the East and Malankara Metropolitan, with its headquarters at Devalokam, Kottayam, Kerala, India. Since the 17th century, the Malankara Church uses the Syrian Orthodox Liturgy, which belongs to the Antiochene liturgical tradition. The East Syrian (Persian), Byzantine, Armenian, Georgian and Maronite liturgies also belong to the same liturgical family. In the first half of the 5th century, the Antiochene Church adopted the anaphora of Jerusalem, known under the name of St James the disciple. In the 4th and 5th centuries, the liturgical language of Jerusalem and Antioch was Greek. Therefore, the original form of St James liturgy was composed in Greek. Following the Council of Chalcedon in 451, the Eastern Church was divided into two, one group accepting the council and the other opposing it. Both groups continued to use the Greek version of St James. The Byzantine emperor Justin (518–527) expelled the non-Chalcedonians from Antioch, and they took refugees in the Syriac speaking Mesopotamia on the Roman–Persian Border (modern Eastern Syria, Iraq and South East Turkey). Gradually, the Antiochene liturgical rites were translated into Syriac. New elements such as Syriac hymns were introduced into it. Mar Gregorios of Jerusalem came to Malankara in 1665 and introduced Syriac Orthodox liturgical rites. The most striking characteristic of the Antiochene liturgy is the large number of anaphoras (Order of the celebration of the Eucharist). About eighty are known and about a dozen are used in India. All of them have been composed following the model of Liturgy of St James. The ritual service (liturgy) is called the Holy Qurbana, which is derived from the Aramaic word korban (Hebrew: קרבן), meaning "sacrifice". The Holy Qurbana is mostly conducted and prayers recited in Malayalam. However, some parts of the Holy Qurbana are sung in Syriac. During the 20th century the 'Qurbana-kramam' (i.e. the 'book containing the order of worship') was translated into English, for the benefit of worshipers who lived outside Kerala, who did not know to read or write Malayalam. The word "Catholicos" means "The General Head". It can be considered as equivalent to "Universal Bishop". There were only three ranks of priesthood in the early Church: Episcopos (Bishop), Priest and Deacon. By the end of the 3rd century, certain bishops of certain important cities in the Roman Empire gained pre-eminence over other bishops and they came to be known as Metropolitans. The Ecumenical councils of the 4th century recognized the supreme authority of these Metropolitans. By the 5th century the bishops in major cities such as Rome, Constantinople, Alexandria and Antioch gained control over the churches in the surrounding cities. Gradually they became the heads of each independent regional church and were called Patriarch, which means common father. The same rank in the Churches outside the Roman Empire was called Catholicos. There were four ancient Catholicates in the Church before the 5th century. They were the Catholicate of the East, the Catholicate of Armenia, the Catholicate of Georgia and the Catholicate of Albania. None of these ranks and titles are the monopoly of any church. In Orthodox tradition, any Apostolic and autonomous national church (often referred to as local Church) has the authority to declare and call its head Catholicos, Pope or Patriarch. St. Thomas established the church in India and is recognized as its first Head or Catholicos. The reign of the Archdeacons started from the 4th century and lasted until the 16th century. The third stage started when the archdeacon was elevated to the position of a Bishop by the community with the name Marthoma I in 1653. Since then the head of the community was the Marthoma Metrans and later the position was developed to Malankara Metropolitan with more recognition. In 1912, the Catholicate of the East was relocated to India, and Baselios Paulose I was seated on the Honorary Apostolic Throne of St. Thomas as the Catholicos of the East. 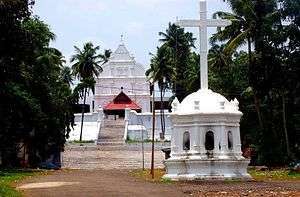 The Headquarters of the Malankara Orthodox Syrian Church is the Catholicate Palace located at Devalokam, Kottayam, in Kerala state of India. It is the official headquarters of the Catholicos of the East who reigns on the Supreme Throne of St. Thomas the Apostle. This seat of the Primate of the Church was consecrated on 31 December 1951. Mar Elia Cathedral, Kottayam is the Thronal Cathedral of the Catholicos of the East. The new Aramana (palace) which was built in 1961 was inaugurated by the visiting Armenian Catholicos Vazgen I.
Holy relics of St. Thomas the Apostle are kept in the Catholicate Chapel. The mortal remains of Baselios Geevarghese II, Baselios Augen I, Baselios Mar Thoma Mathews I and Thomas Mar Makarios Metropolitan are entombed in this chapel. The Malankara Orthodox Syrian Church was founded by St. Thomas, one of the twelve apostles of Jesus Christ, who came to India in 52 AD. In the sixteenth century Roman Catholic missionaries came to Kerala. They tried to unite the Syrian Christians to the Roman Catholic Church and this led to a split in the community. Those who accepted Catholicism are the present Syro-Malabar Catholics. Later, Western Protestant missionaries came to Kerala and worked among Syrian Christians; the first few decades of cooperation was cordial, but dogmatic differences and colonial nature of the missionaries created splits in the community. In the seventeenth century, the Church came to a relationship with the Antiochene Church which again caused divisions. As a result of this relationship the Church adopted West Syrian liturgies and practices. At present the Church is using the West Syrian liturgy. The faith of the Church is that which was established by the three Ecumenical Councils of Nicea (325 AD), Constantinople (381 AD) and Ephesus (431 AD). The Church is in communion with the other Oriental Orthodox Churches namely, Coptic, Armenian, Syriac, Ethiopian and Eritrean Orthodox Churches. The Church is in good ecumenical relationship with the Eastern Orthodox, Roman Catholic and Protestant Churches. The Malankara Orthodox Syrian Church was a founding member of the World Council of Churches. Various theologians were involved in negotiations between the Oriental Orthodox and the Byzantine churches. The Indian Orthodox Church participated in the Ecumenical Council of Oriental Orthodox Churches held in Addis Ababa, in 1965. The contributions of theologians including Paulos Mar Gregorios, Geevarghese Mar Osthathios, Fr. Dr. V. C. Samuel to ecumenism and theological dialogue are respected across the Christian world. St.Mary's Orthodox cathedral Puthencavu, chengannur Diocese. Malankara Association is the elected body consisting of members from parishes to manage and control the religious and social concerns of the church. Traditionally convened as Malankara Palli-yogam (മലങ്കര പള്ളി യോഗം, meaning Parish assembly of Malankara), the modern form of the Association is believed to have been established in 1873 by Pulikkottil Joseph Mar Dionysious II by convening a meeting of the parish representatives in Parumala. In 1876, Mulanthuruthy Synod, an elected body in the name of Malankara Association officially took charge. Church constitution details the powers and responsibilities of the Association. The Malankara metropolitan is the president and the Diocesan Metropolitans are the vice-presidents of the association. The Association elects the Malankara metropolitan, Catholicos of the East, Metropolitans, priest trustee, lay trustee, Association Secretary and Managing Committee Members. Each parish is represented in the Association by a priest and lay people elected by the parish general body proportionate to the strength of each parish. 1 2 The Encyclopedia of Christianity, Volume 5 by Erwin Fahlbusch. Wm. B. Eerdmans Publishing - 2008. p. 285. ISBN 978-0-8028-2417-2. ↑ Thomas Arthur Russell (2010). Comparative Christianity: A Student's Guide to a Religion and Its Diverse Traditions. Universal-Publishers. p. 40. ISBN 978-1-59942-877-2. The Malankara(Indian)Orthodox Church of India(also called by a variety of names, such as the Malankara Orthodox Syrian Church, or the Syrian Church in India). It is located in Kerala, India. 1 2 MOSC. Constitution:First clause. 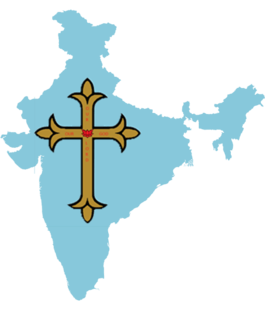 1 The Malankara Church is a division of the Orthodox Syrian Church. The Primate of the Orthodox Syrian Church is the Patriarch of Antioch. ↑ http://www.cnewa.org/default.aspx?ID=9&pagetypeID=9&sitecode=hq&pageno=1|quote=(b) stated that there is only one Orthodox church in India, currently divided into two factions, and (c) recognized the Syrian Orthodox Patriarch of Antioch as the spiritual head of the universal Syrian Church, while affirming that the autocephalous Catholicos has legal standing as the head of the entire church, and that he is custodian of its parishes and properties. This decision did not, however, result in a reconciliation between the two groups, which in 2007 remained separate and antagonistic. ↑ Thekkedath, History of Christianity in India"
↑ Cheriyan, Dr. C.V. Orthodox Christianity in India.2003. p. 235, 238. ↑ N. M. Mathew, Malankara Marthoma Church History. (Malayalam) Vol I, 2006. P.241. ↑ Dr. Samuel Nellimukal, social Changes in Kerala (Malayalam), p. 104. Pub: K.C.S. Books, Kottayam. 2003. ↑ "About the church". Niranam St. Mary's Orthodox Syrian Church. 2009. Retrieved 25 April 2010. ↑ "Malankara Orthodox Church - Holy Qurbana". Malankaraorthodoxchurch.in. Retrieved 23 October 2012. ↑ Archived 18 April 2012 at the Wayback Machine. ↑ "Pilgrim center of St. Mary (St.Mary's Orthodox Church Kallooppara)". Kalloopparachurch.com. Retrieved 23 October 2012. ↑ "Puthuppally Pally - Welcome to official website of St. George Orthodox Church, Puthuppally". Puthuppallypally.in. Retrieved 23 October 2012. ↑ Archived 12 February 2015 at the Wayback Machine. ↑ Archived 16 January 2011 at the Wayback Machine. ↑ "St. John's Orthodox Church, Kadammanitta". Kadammanittapally.com. 15 September 2012. Retrieved 23 October 2012. ↑ "Malankara Association". malankaraorthodoxchurch.in. Retrieved 22 October 2012. Frykenberg, Eric (2008). Christianity in India: from Beginnings to the Present. Oxford. ISBN 0-19-826377-5. Tamcke, Martin (2009). Die Christen vom tur Abdin: Hinführung zur Syrisch-orthodoxen Kirche. Verlag Otto Lembeck. 3874765806. Menachery, George (1973). The St. Thomas Christian Encyclopaedia of India Vol. II. Menachery, George (1998). The Indian Church History Classics: The Nazranies. Vadakkekara, Benedict (2007). Origin of Christianity in India: a historiographical critique. Media House Delhi. Van der Ploeg, J. P. M. (1983). The Christians of St. Thomas in South India and their Syriac Manuscripts. Dharmaram Publications. Wikimedia Commons has media related to Malankara Orthodox Syrian Church. St. Barnabas Orthodox Church, Washington, D.C.